Sarcastic and bold, Maxine Phillips receives what she thinks is the shock of her life when she learns the father she thought was dead for 18 years is very much alive and living in Oklahoma. But when she travels from her home in South Carolina and finally meets her father, Maxine is in for an even greater shock. 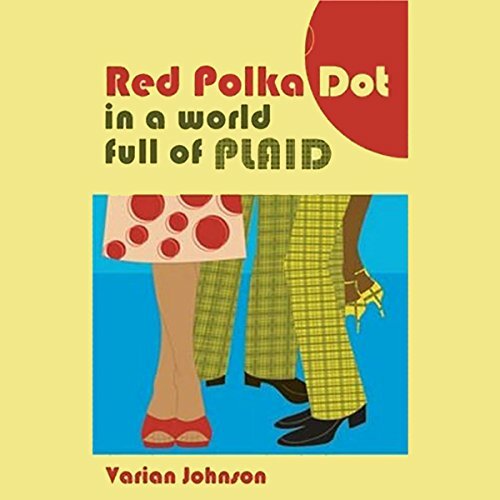 Named an Essence best-seller, Varian Johnson's debut novel explores the nuances of unusual relationships and one girl's struggle to become comfortable in her own skin. I listened to half the book before I realized I was totally wasting my time. I don't like any of the people in this story and I really don't care what happens to them. If I tried, maybe I could muster up some 'like' for Deke. As much as I dislike tossing my money out the window, I'd rather not waste my time. So I am leaving this book unfinished. This book took me back ... way back to my first love and those rebellious teenage years (although my mama wouldn't have stood for half the things Maxine said). The author is my kind of storyteller! I couldn't believe how many twists and turns there were. You definitely have to listen to the very last second. Ladies, you'll need your hankies a couple of times to get through this one! The narrator gave a performance of a lifetime. She tackled the innocent squeaky voice of a young girl and the gruffness of the male characters (both the young and old) with ease. Very professionally done. I recommend it highly!! !